There are different types of book publishers, depending mainly on the market for the book. While we often think of "trade" publishers, those who publish the books typically found in bookstores, there are also academic publishers, professional publishers, and of course, self-publishing services. Whether you aspire to be an author or dream of getting a job in editorial, you should know about the different types of book publishers. Trade book publishers acquire, edit, produce, publish, and sell the books you're most likely to see in a brick-and-mortar bookstore. These are traditional publishers creating books for a consumer readership. While the internal company structures and organization of conventional trade publishers vary, each generally publishes books in a broad variety of formats (hardcover, trade paperback, mass market paperback, e-books, audiobooks), and a wide selection of topics and genres. Note that some trade book publishers are parts of larger media entities that may also own textbook publishers. While there are many trade publishers in the United States, the major ones are referred to as "the Big Five" book publishers. Book packagers are companies specialize in creating books to be published under the imprint of a trade publisher. Another way to look at is that the publisher "outsources" the development of their book. In adult publishing, packaged books often involve a lot of photography or illustration, and the publisher finds it more cost-effective to buy the books already produced than to develop and produce the volumes themselves. Some young adult fiction series are also packaged. The book packager develops an idea for a book (or series of books) and then sells the concept to a publisher. The packager then does all of the editorial and production work for the publisher (with publisher approval at key junctures of the process) and generally ships the finished books directly to the publisher's warehouse. In some cases, the packager provides the files, and the book publisher prints and binds the books. While the name of the book packager is usually unknown to the consumer buying the book, there's typically an indication of the packager somewhere on the title page. The authors of packaged books are generally contracted as "work for hire;" that is, they are paid a flat fee and do not get paid royalties on the book sales. An example of a book packager is the San Francisco-based Weldon Owen. These publishers create low-cost books and book-related products (such as calendars or activity kits that include books) for the "bargain" section of the bookstore. The low-cost non-fiction books are usually highly illustrated (souvenir books, craft books); the fiction includes bind-ups of several novels from a prominent, prolific author or reprints of classics in the public domain. Some promotional book publishers also buy and re-sell remainders of trade books. Authors who write original books for this market are almost always contracted for work-for-hire. 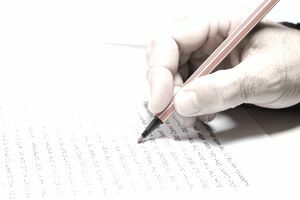 Established authors who are reprinted into this market are doing so under reprint clauses in their publishing contracts and receive royalties for their work. Textbook publishers create books for school and university classrooms, usually with a specific course syllabus in mind. School book publishers are referred to as "elhi," a combination of "elementary" and "high school." The major textbook publishers are McGraw-Hill, Pearson, Reed Elsevier, and Houghton Mifflin. Professional publishers create books and databases for professionals who need access to reliable, widely accepted information and standards. These include (but aren't limited to) accountants, architects, doctors, lawyers, and psychologists. Because of the amount of data in these books and the need for regularly updated information, much of this information has moved from predominantly book form to online access. An example of a professional publisher is John Wiley. In general, self-publishers by any name allow an author to see their own book in print or online and accessible to an audience. However, there are distinct differences between "being published" traditionally and having your book produced by a self-publishing service. That said, there are different reasons to self-publish, but often an author chooses to do so when his or her book's appeal to the general consumer is not apparent enough for a traditional trade publisher to take a chance on it. While various self-publishers or vanity publishers offer different levels of assistance with and support for the publishing process, self-publishing services come at a price, paid for by the author. Hybrid publishers' services fall somewhere between a self-publishing company and a traditional publisher. Hybrid publishers differ significantly in their terms, but they generally offer their authors some level of in-house editorial expertise and distribution support, and they share in the profits that result from the book sales. Some examples of hybrid publishers include SheWrites, Entangled, and Booktrope.